...... Mail Merge is one of the main type of uses in any administrative software application. It is used extensively in all industries, typically by Access users that need document creation for their Office business application (quotations, letters, invoices, contracts, reports). Professionals that collect data for engineering, research or other purpose and want to create complex documents from it (surveys, reports, audits,...). 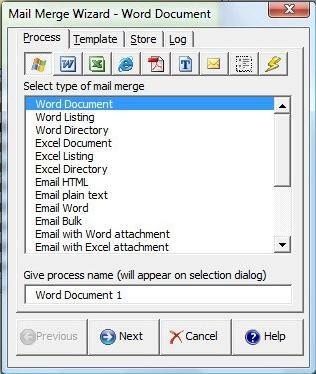 Mail Merge for Microsoft Access can be used both by professional Access developers and Access power users. Qweas is providing links to Mail Merge for Microsoft Access 2007 SP1 5.0 as a courtesy, and makes no representations regarding Mail Merge for Microsoft Access 2007 SP1 or any other applications or any information related thereto. Any questions, complaints or claims regarding this application Mail Merge for Microsoft Access 2007 SP1 5.0 must be directed to the appropriate software vendor. You may click the publisher link of Mail Merge for Microsoft Access 2007 SP1 on the top of this page to get more details about the vendor.